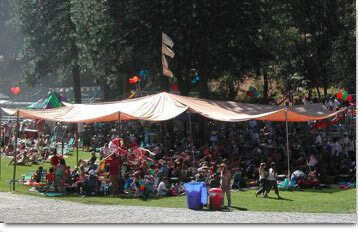 An eco-shade has been created by In Tents! 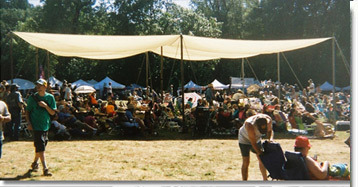 Affordable and non-vinyl it is 40x40 feet of deep comfortable shade. 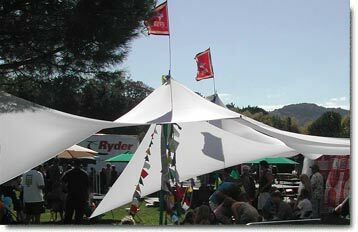 Designed to replace the large vinyl frame tents when no rain is expected, they are constructed of newly available flame retardant shade cloth. We have four of these for the 2006 season to cover your summer party or audience at a larger event. 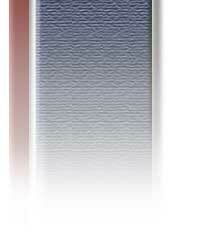 They can be set up at customized heights to fit your site and/or stage visability. 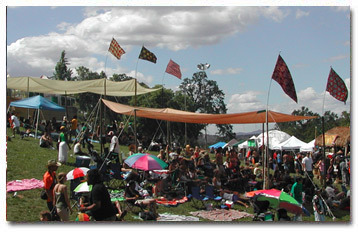 African Flags from Ghana adorned the seven shades we scattered on the hillside for audience comfort. This photo shows one each of the 40 X 40 Eco Shades and 30 Foot Hexagons. Spandex panels dramatically stretched cafe style with umbrellas for an outdoor greenroom.